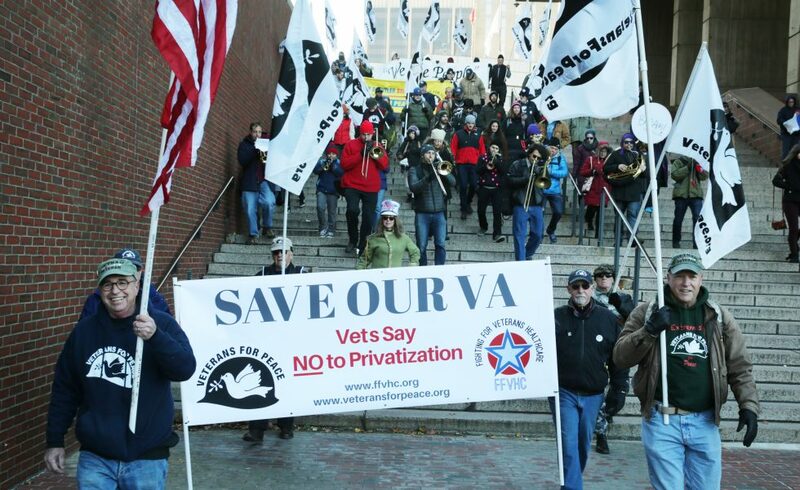 Every year for over a decade we have had our Armistice Peace March behind the “official” Veterans Day parade in Boston. We continued that tradition this year as well. Article in the Boston Globe on the Parade and our participation. View our image gallery of Armistice Day 2017. Take a look at a slide show the Smedley Butler Chapter and friends on Armistice Day in Boston, November 11, 2017! This year’s MC was our Smedley Butler Brigade-VFP coordinator Vietnam veteran Dan Luker. Along with music and poetry readings we lined up speakers knowledgeable about Korea and Iran/Afghanistan.